Welcome to Dystopia Episode 11 w/ Daniel McAdams: Middle East Not Going According To Empire Plan - Wall St. for Main St.Wall St. for Main St.
Jason Burack of Wall St for Main St and independent financial journalist and managing editor of The News Doctors http://thenewsdoctors.com/, Eric Dubin are back for Episode #11 of their new Welcome to Dystopia podcast! This week’s episode had special guest Executive Director of the Ron Paul Institute For Peace and Prosperity http://www.ronpaulinstitute.org/, Daniel McAdams. 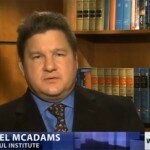 Daniel McAdams is the executive director of the Ron Paul Institute. He formally served as the foreign affairs, civil liberties, and defense policy advisor to U.S. Congressman Ron Paul, MD (R-Texas) from 2001 until Dr. Paul’s 2012 retirement. There’s a popular misconception that libertarians advocating for a non-interventionist foreign policy is tantamount to isolationism. Nothing could be further from the truth, and the Ron Paul Institute is making progress advancing this understanding. In a little over a month, power relationships in the Middle Eastern war theater have shifted considerably. Daniel provides us with perspective on the recent United Nations meeting between Russian and U.S. officials, and what conclusions we might draw now that the U.S. policy establishment is being forced to play out a hand with unanticipated cards and, with Moscow essentially exposing the absurdity of the American strategy of building up “moderate” terrorist forces with the goal of overthrowing the Assad government.